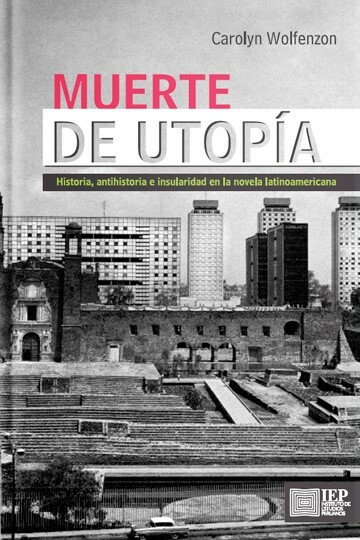 Muerte de Utopía: historia, antihistoria e insularidad en la novela latinoamericana, analyzes the representation of the colonial period (16th-18th centuries) and its literal and metaphorical islands in seven contemporary Latin American novels. The central hypothesis is that, in representing the colonial world, writers often depict current social and political problems reflective of their own time, rendering visible the permanence of colonial structures in postcolonial Latin America over a period of roughly 40 years. The book explores the relationship between the colonial past and the present in four different Latin American countries (Argentina, Cuba, Mexico and Peru) and how the times in which the novels were written maintain a permanent dialogue with the colonial past, producing the sensation that time does not move forward, but has stopped, and that History is not a continuum but rather, moves circularly. These novels suggest that Latin America exists in a perpetual crisis that produces several juxtapositions in time: La Colonia survives simultaneously in the twentieth century. The modern order is erected on top of the hierarchies of a strong colonial order, but without completely discarding the former structure, thereby exposing the perpetual clash between tradition and modernity in the countries analyzed in my book. In order to point out this “ahistoricism” that paradoxically defines what is historical in Latin America, I argue that the novels place characters in a tangential situation with regard to the progress of history—stressing the fact that there is no linear movement of time. In their own way, each of the novels recreates the image of an island, showing how the principal characters either stand in a marginal and peripheral position relative to history or do not participate in the passing of time at all. This set of novels can be broadly considered “ahistorical” in the sense that time seems stagnant or imperceptible; however, I argue throughout the project that each novel contains multiple frames of history, reflecting a historical moment of the colonial past as well as a present moment in the authors’ contemporary postcolonial world. ​The authors that I study are: Antonio di Benedetto (Argentina), Carmen Boullosa (México), Reinaldo Arenas (Cuba), Enrique Rosas Paravicino (Perú) and Abel Posse (Argentina).